AQUABlack® delivers distinct advantages with MicroBubble™ foaming technology. JUST ANNOUNCED! View exciting new information on our Maxam SAFE-SAMPLER System! Size matters. Large bubbles that are formed when water is mixed with liquid asphalt quickly dissipate and leave an unmodified binder. Microbubbles are the key because they stay in the mix until it’s compacted. MAXAM’s MicroBubble™ technology uses 1,000 psi to far out-perform all other systems in microbubble formation to produce the highest quality WMA. The AQUABlack® System out performs other systems, yet the cost is about the same, or less. AQUABlack® retrofits any asphalt plant quickly and easily. It installs in just two days – you can get it done over the weekend with a two man crew. You can do it yourself, or have us do the installation for you. The unit comes completely assembled. Simply attach it to your A/C line, hook it up to a water source, install the control panel, and you’re ready to go. 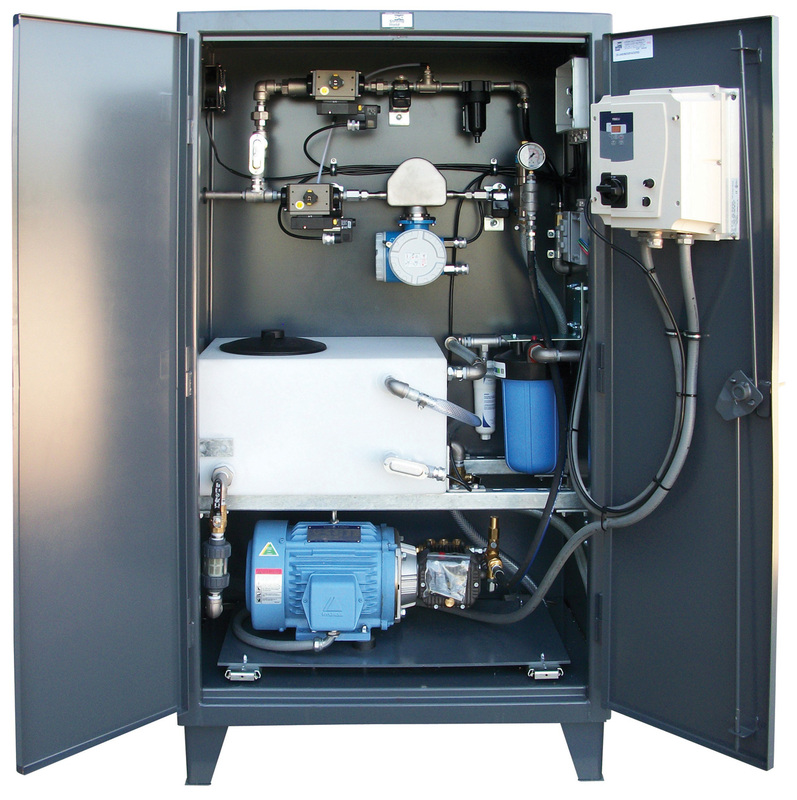 The touch-screen Control Panel is mounted in the control house and easily connected to the metering system using multi-conductor cable. When the operator sets max tons on the control panel, the system automatically calculates the correct amount of water to be injected into the warm mix asphalt, and sets the water pump drive to the proper output rate. A mass flow meter monitors flow rate and sounds a warning if it goes out of the optimum range. New style foaming gun for warm mix asphalt: External stainless steel cartridges allow for easy maintenance access. Available in either electric or hot oil heat. Fits standard 3" line and is adaptable to all existing systems. 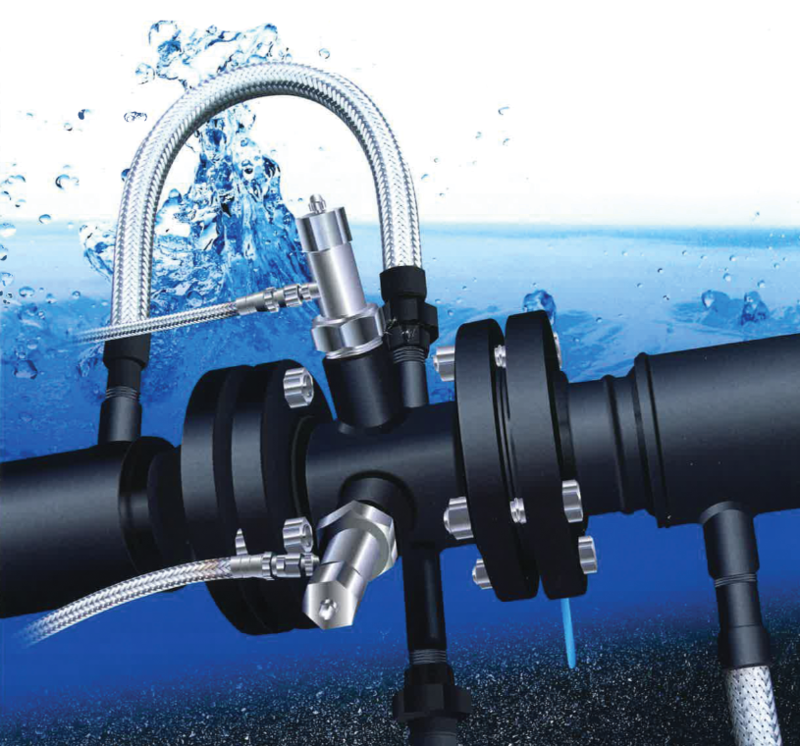 The AQUABlack® all stainless Foaming Gun comes with all required water hose and hot oil jumpers for installation. It is inserted into the existing a/c line just prior to entering the drum. Cartridge-style nozzles mean that no disassembly is required for inspection, or repair, of your system. The center convergence nozzle design provides more efficient foaming. It reduces the number of nozzles and the maintenance related to each. The high-pressure system enables low water-to-liquid-asphalt ratio during foaming. There are no moving parts in the foaming gun. Download an informational brochure on warm mix asphalt. Click Here.